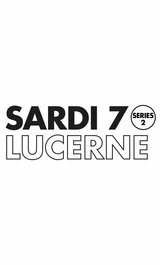 SARDI 7 Series 2 is the next generation winter active lucerne. It is even more versatile, broadly adapted and persistent than the current market leader, SARDI 7. 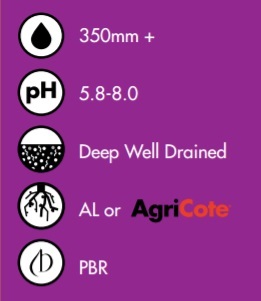 It is been bred specifically for adaption to the Australian climate and farming systems and will perform well in both dryland and irrigated systems. SARDI 7 Series 2 is ranked higher for persistence than SARDI 7 and other commercial cultivars in trials at Culcairn NSW, Rochester and Bendigo Vic and Mingbool, SA. SARDI 7 Series 2 will provide superior performance wherever SARDI 7 was successful. 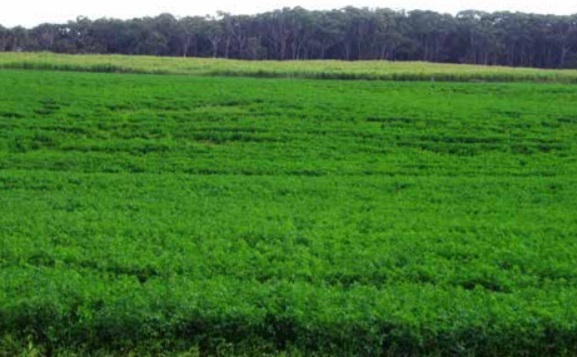 This includes situations where a persistent, high producing lucerne stands are required and in grazing situations where winter produced feed can be utilized. It is suited to direct grazing or hay and silage production and can be sown in pasture mixes or under-sown with oats. In addition SARDI 7 Series 2 will perform well in dairy, beef and sheep production systems in the high rainfall zones of south eastern Australia, where dormant or semi-dormant varieties have traditionally been grown. It will persist and produce more dry matter than winter or semi-winter dormant varieties delivering more feed during the winter months when feed is in demand. To deliver increased tolerance to cold, wet environments, the majority of the parentage comes from Victoria and New South Wales field selections. Thirty seven of the final fifty parent plants were selected from high rainfall or irrigated sites where high disease pressure, cold wet conditions and tolerance to heavy traffic and urine scalds from cattle grazing are the major stresses that affect persistence. SARDI 7 Series 2 has very high levels of resistance to the pest and disease strains present in Australia. As an example, the selection for BGA resistance was conducted with a new highly destructive biotype identified in SA in 2008/9. As a result it has a low level of tolerance to this new pest, which is an improvement on all other known lucerne varieties.